This project was conceived in 2010 as a way to combat the often disgusting behavior found in the New York City Subway System. 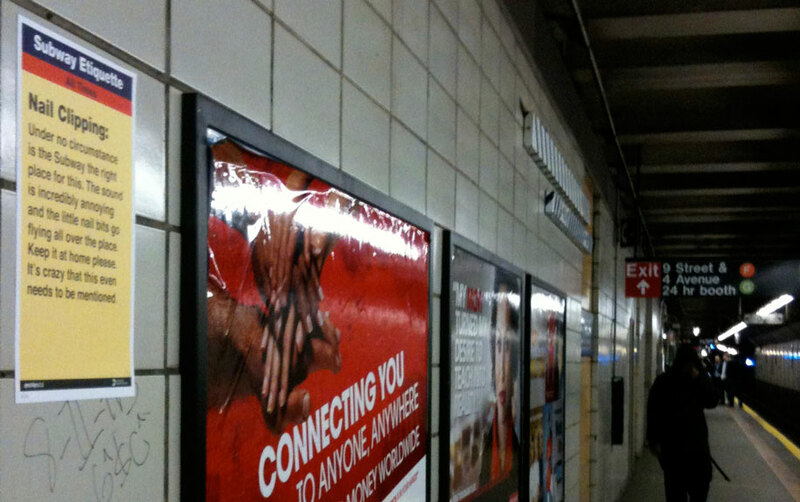 The design mirrored those of the ubiquitous Service Advisory posters (they have since been redesigned) that litter the entire system with messages of service interruptions, and track work. 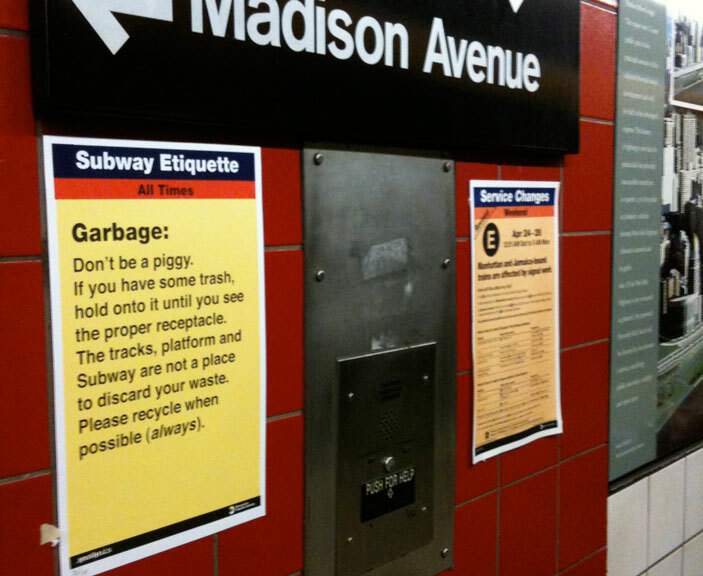 I polled 100 people on what the worst etiquette-related offenses were on the Subway. I wrote them out as a list of 10 rules and screenprinted roughly 50 of each poster, then posted them on trains and stations throughout the city. The posters were signed and numbered, and were intended to be collected. Once people realized these were created by the "Metropolitan Etiquette Authority" and not the Metropolitan Transportation Authority, they were quickly taken. They were up long enough for the project to become a piece of pop culture, spreading around the internet and television like wildfire. Years later, it still has waves of coverage on social media. Clearly, this is addressed an issue that people all over the world can relate to and the project should become a legal campaign in all major cities with mass transit. 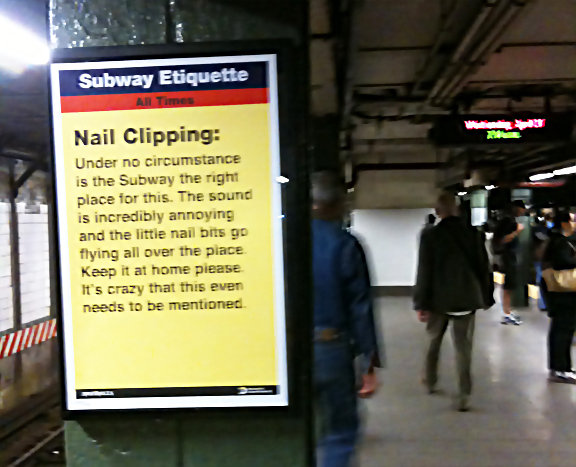 As of this writing, the MTA has launched their own official campaign. I wonder where they got the idea. Mini documentary by Babelgum / Radar about the project. NBC News with Tom Llamas. Not sure where they got the "Moses of Mass Transit" bit, but my mom still jokes about it. PIX 11 News with Emily Francis. CBS News with Rob Morrison.